- I really dislike scrambled eggs… And every time I tell people, they proudly say “well, you haven’t tried mine!” But let me tell you, I don’t need to. No matter how much cheese, milk, or whatever you put in that stuff, I don’t like scrambled eggs. - Nor do I like cereal, French toast, pancakes, or waffles… breakfast is just not my thing. - I’ve been wanting to cut my hair for a while, but I’m very hesitant because it takes so long for it to grow back out. But Lo Bosworth’s new long bob is giving me short hair fever. - I’ll drink anything out of a wine glass – it makes me feel fancy! - The Whole Foods recycling system is a little too complicated for me… I give it my best shot and walk away quickly hoping no one is watching and judging me. There are like 4 or 5 containers for different things – it gets confusing! Not to mention you can hardly get your garbage in the super small hole... what in the world?! Who designed these things?! - I am always cold! Growing up I would turn the house thermostat super high. It got to the point where my parents said I was no longer allowed to adjust the temperature because I would have the house heated at 78 degrees in the winter. - Although I get cold very easily, I don’t sleep well unless I have a fan blowing on my face. 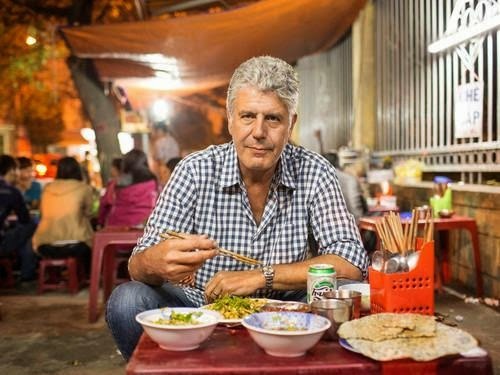 - I wish I had Anthony Bourdain’s job… travel, eat food, and talk to people? Yes, please! - I still haven’t updated my passport from my maiden name. I need to do that stat. - John does his own laundry despite my pleas to let me do it for him - he is very particular about what he dries, hangs, hangs-then-dries, and dries-then-hangs... it’s complicated. - I bought the Jillian Michael’s Killer Buns and Thighs DVD about a month ago and haven’t opened it yet… it was a 10PM Walmart buy. When I get tired, I’ll throw just about anything in my shopping cart. - I’m a vanilla over chocolate and beach over mountain kind of girl. - Waking up in the morning without an alarm is one of my most favorite things ever. Breakfast is totally not my thing either (except for eggs...I can do eggs). French toast, pancakes, waffles, etc.? No thanks! I can't do scrambled eggs either! I have to have cereal for breakfast every single morning... I love the other foods (pancakes, waffles, etc) but I prefer to have them for dinner instead haha. And YES to having a fan on while sleeping, it's a necessity!! I love morning wake up's without an alarm - roll on saturday! I'm always warm and cant sleep without the window being open! ohh i love that short haircut! doooo it! I'm not a breakfast person either! If I have to eat scrambled eggs, I only like my own. Nobody else's. No one EVER understands that. I won't eat any other kind of egg either. Waffles? Only the ones IN BELGIUM (so once in my life?). Pancakes? No thanks... Yep, that's me to a tee!! I'm also beach over mountains without question... because I hate being cold... except during bedtime... then it has to be a freezer with a fan. I'm not big on scrambled either, over easy? Now we're talking! I'm always cold too, but also need the fan to sleep. Vanilla over chocolate for me too - always! Um YES vanilla over chocolate!!!!!! ;) all day! This was too funny. I so wish I had that job, too! Tasting yummy food and traveling the world? Must be nice! I say go for the hair cut! So cute!! I am also always cold, but have to sleep with a fan! So weird! Loved reading more about you! I'm just the opposite - I love breakfast food! You should totally go for the hair cut! Always vanilla over chocolate! Love that hair cut, I say go for it! I still haven't updated half of my stuff to my married name, there are so many things to do! Love these confessions! 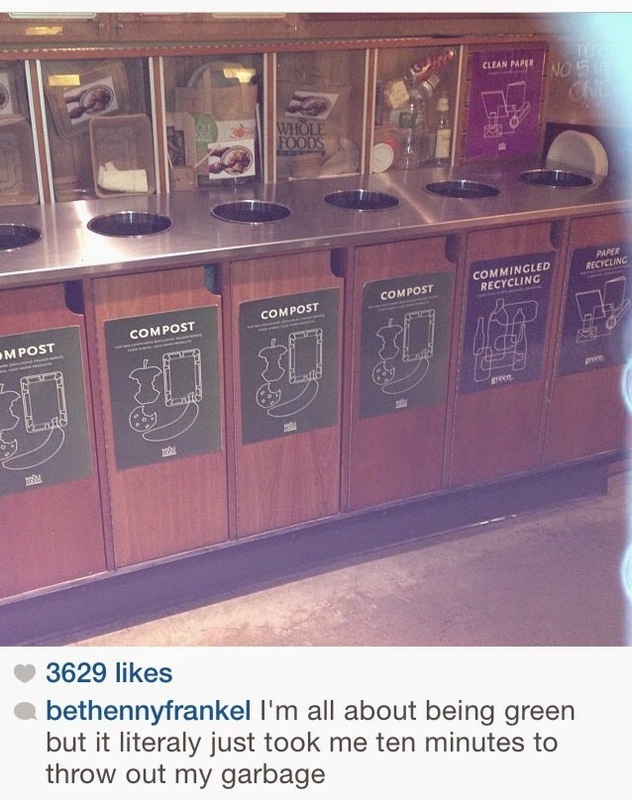 I totally agree with you about the Whole Foods recycling system...wha?? Anthony Bourdain's job would be amazing, but I wouldn't want to weird some of the weird stuff that he has lol!! That's a good Jillian Michaels' DVD. Her workouts are awesome! I hate eggs unless they are deviled or hard boiled. Lo's bob is pretty cute! I love it, but I couldn't cut my hair that short! That takes guts! I will be excited for you if you do it though! :):):) ahhh! Happy Thursday !! I love me some chocolate, but it has to be like candy bar chocolate. I hate chocolate cake, etc. I'm vanilla all the way for milkshakes too. And beach, ahhh.. my happy place! My suitemate in college would turn the heat up in her room to 85 degrees! There were many days in the winter where I would barely run my heater all day, just leave my door open and wait for the warmth to drift over to my room, haha. I am pretty sure we are the same person. Or at least really close! Eggs/Breakfast aren't my thing either. Love this confessions idea!! May have just inspired a post for me!! You would roast me out of the house having it cranked up to 78! I won't tell you what we keep ours set at during the winter because you might freeze to death right there in AZ... I also agree on the scrambled eggs. I LOVE eggs, but scrambled is my least favorite way to eat them. No alarm mornings really are hard to beat and I love me some Lo, you would totally rock that bob! I have to force breakfast on myself. Also that haircut/ can't wait to see it! OK, hate scrambled eggs (really any eggs), love Anthony Bourdain and his shows, always cold but have to have a fan when sleeping... hah lots in common and always love reading these! seriously girl, I make the best scrambled eggs, you just have to try mine! jk, jk. I hate when I tell people I don't like something and they push push push. Stop it!! Oh and I am always cold as well. My husband won't let me touch the thermostat in my house. Womp womp. We have the same laundry situation in our house- my husband insists on washing his own things too! Ahhh I think one of my biggest pet peeves is when you don't care for something and someone insists you try it! I think it's so rude! You could totally pull off the long bob! 'Waking up in the morning without an alarm is one of my most favorite things ever.' oh gosh it has been so long I can't even remember, I like to set mine for a bit before Aria wakes up so I can slowly wake up in bed first. One day she will be a teenager and sleep until noon, right? And by then I won't be able to sleep past 8 anyways...vicious circle. I have to be in the right mood for eggs, any eggs. Or they turn my stomach. I can usually always get down with an omlette though, and I am so sad breakfast food isn't your thing. That is my fave meal of the day! Breakfast is my favorite meal EVER but my boyfriend is totally on your side! He orders a salami sandwich on a bagel in the mornings! I'm slightly mortified by this post. I seriously kept saying, "me too... me too! OH MY GOSH ME TOO!" We might be twins! No breakfast foods?! Oh girl, you're killing me! You are my kinda girl Lisa. I much prefer vanilla and the beach over the opposite. I'm also always cold, as in I wear a blanket even in the summer. Crazy I know.